This line insulates the body temperature by reducing the dangers of excessive cooling caused by low tem­peratures. 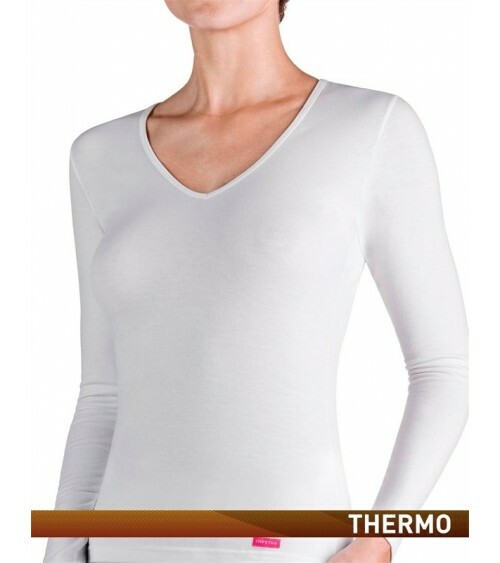 With Thermo, the body breathes and naturally regulates its own temperature, protecting itself and producing a sensation of wellbeing. The adaptability of the item is guaranteed by using elastane in its compo­sition. Besides being a high-tech, high-performance fibre, it has a natural feel similar to cotton. Protects from the cold whilst maintaning the bodies natural temperature, moving perspiration to the exterior. More elasticity, adaptability and mobility for the body.